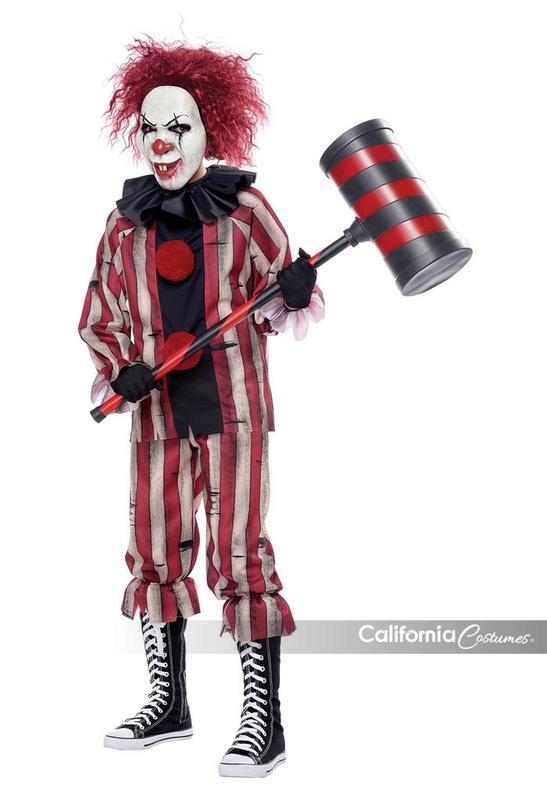 Product Description: I'm what nightmares are made of. 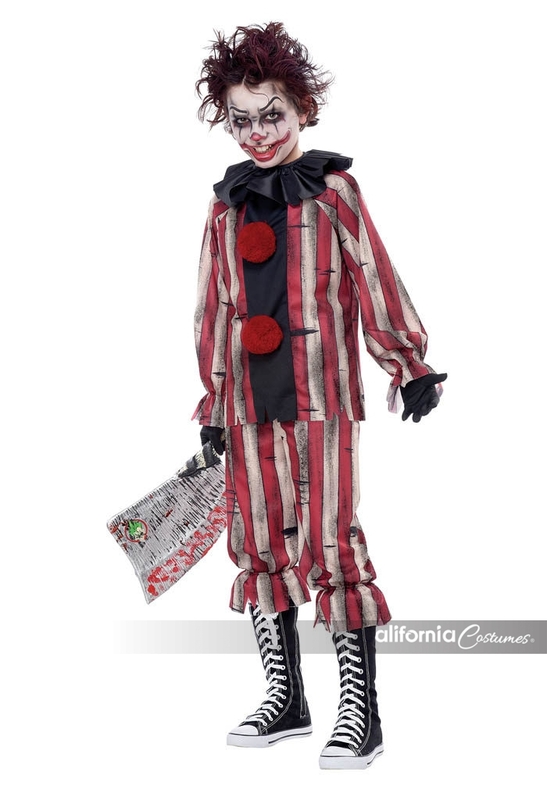 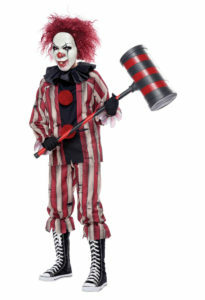 The Nightmare Clown child costume is a long sleeved distressed pattern print shirt with 2 attached poms. It comes with a pair of pants, a black ruffle collar and a mask.